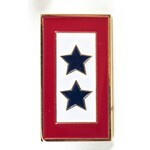 The Blue Star Service Pin is a white rectangular field bordered in red, with a blue star or stars arranged horizontally. 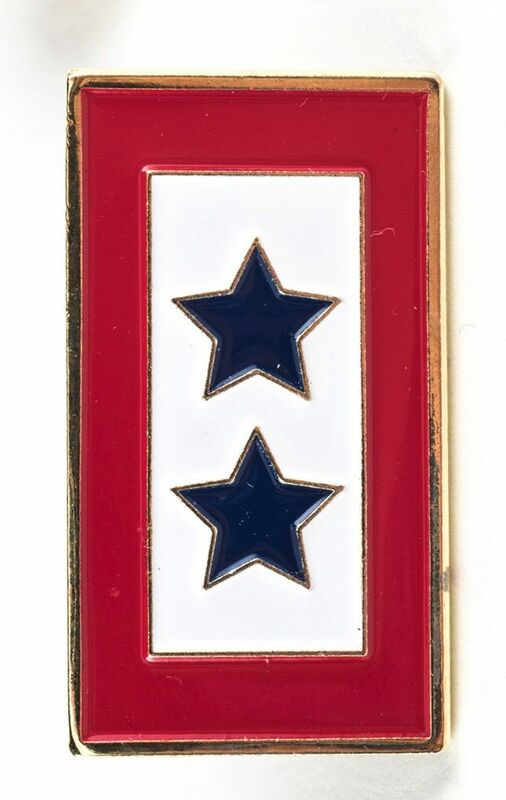 The number of blue stars corresponds to the number of Family members in U.S. Armed forces currently deployed during any war or conflict. Take time to thank the Families of service members who are separated from their loved ones while they are deployed.